Original Equipment Manufacturer | HCC Inc.
HCC supplies OEM products for most every make and model of combine. 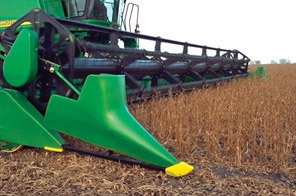 HCC full-fingered combine augers are designed to improve crop feeding. 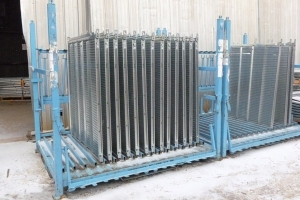 We work closely with OEM customers to match the cleaning elements to machine capacity. Our joint testing and development assure a cleaner sample in the tank for all crops and conditions. We are continuously testing new materials and styles to keep up with the advances in agriculture. 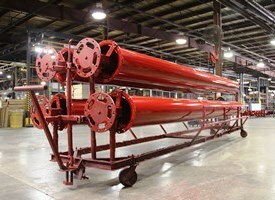 HCC's unload tubes are built to last in the field for our OEM customers. We can build a variety of lengths and diameters, meeting all customer specifications along the way. Up to 25% less weight to decrease load on harvesting equipment. We can manufacture all of these OEM products and more based on your specific needs.